Cider is not wine. Cider is not beer. Yet, cider is taxed like wine and often marketed like beer. The result is a lack of parity that negatively impacts the bottom line of cider makers. We want to do something about that. We formed around our passion for cider advocacy. Cider makers came together and spoke up on behalf of the industry. 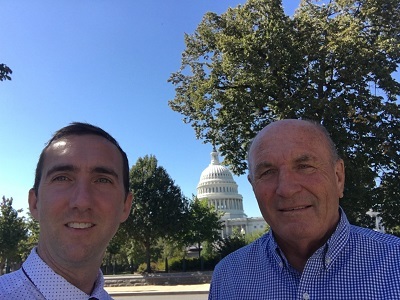 The result of our early efforts and the hard work of cider champions in Congress (Senator Wyden, Senator Schumer and Representative Blumenauer to name a few) was the passage of the CIDER Act in 2015. 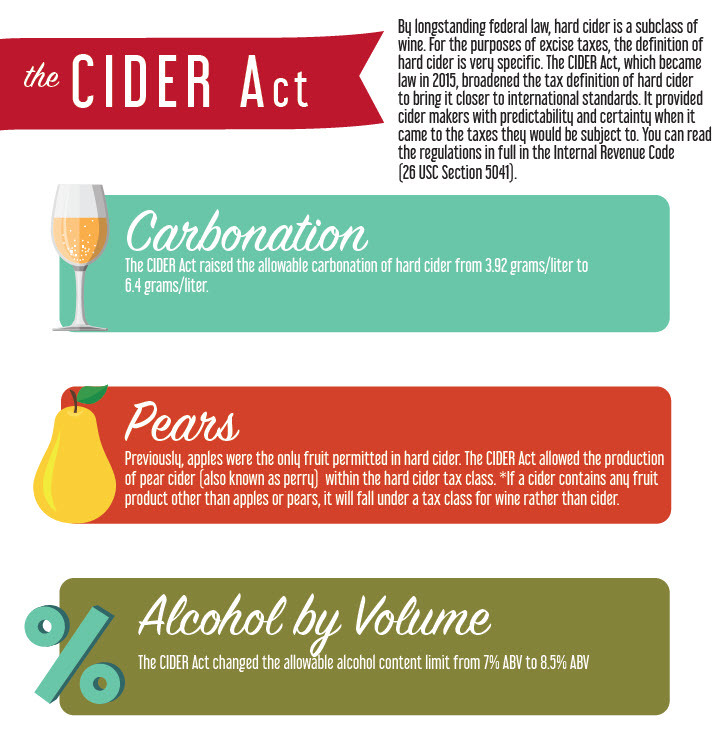 The CIDER Act broadened the definition of ciders that are eligible for a lower excise tax rate. This infographic explains the specifics of what was achieved. We didn’t stop there. There are rules to comment on and regulations to address at the national level. 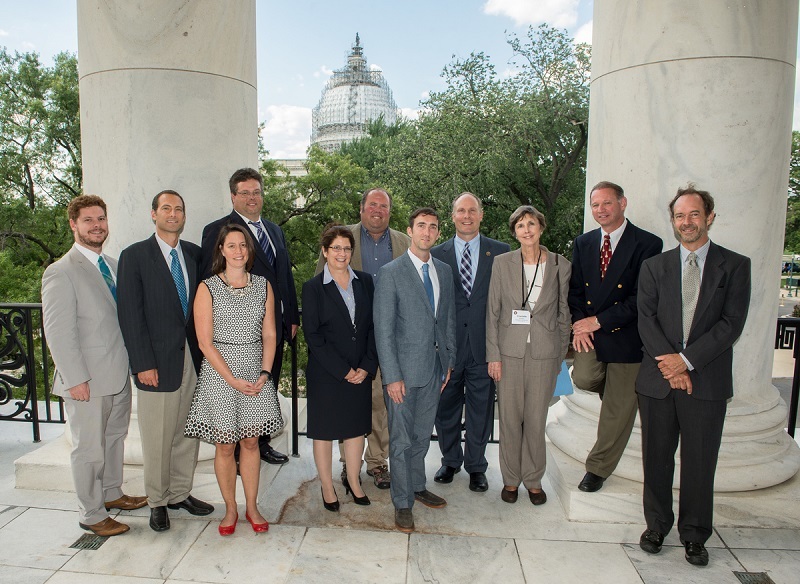 We have a strong legislative committee with knowledgeable members working year-round to advocate for better policies when it comes to cider. Our members identify our legislative work as one of the most important reasons they join the association. The more members we have, the stronger our voice is in Congress. The more members we have, the stronger our voice is in Congress. Together we can get cider the parity it deserves!